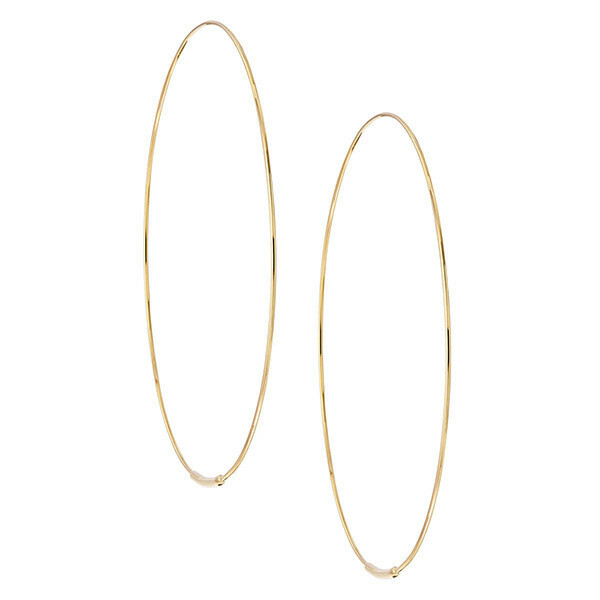 With the look of a continuous circle, these Lana hoop earrings are magical. A strand of 14K yellow gold threads through the ear and closes beneath the earlobe with a streamlined closure. Enchant your wardrobe with this fine pair of Lana earrings.